Sometimes it is never enough time to be together with your team. That is why we are offering 4 days and 3 nights perfect conference with acitivities in Vilnius, Lithuania. Vilnius is magical city with biggest old town in Baltic states and there is a lot activities you can do during all seasons. Vilnius is perfect place to have conference with your team: here we have perfect conference rooms which are modern and well looking. During this program you can have conference, sightseeing, tournaments, night life and anything else you would like to experience with your team. It is perfect time to build up highest level of your team work. If there is changes you want in program, inform us and together with you we will find the best solution for you and your team. Lunch at local restaurant: „Berneliu Uzeiga“ / „Belmontas“. Optional activities if there is time left (depends on flight): Horse riding in beautiful nature of Lithuania to feel the freedom and relaxation / Extraordinary show of scientists in conference hall. During this show you will see the power of liquid Nitrogen in a funny way. You will even be able to taste extraordinary ice cream made with help of liquid Nitrogen. 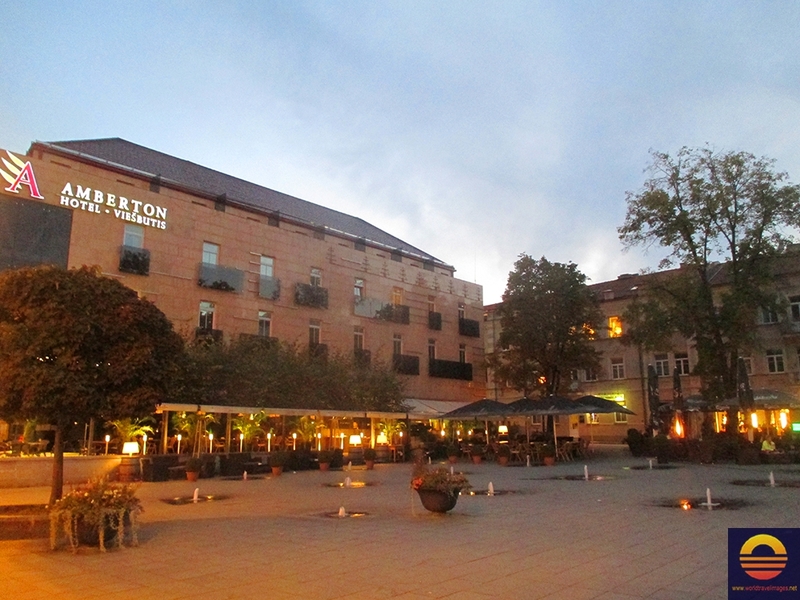 4*hotel „Amberton“ which for your comfort is in city center or similar 4* hotel. We always reach highest goals, that is why we always select only best Hotels. For this celebration we specially suggest "Amberton" hotel because it is in city center, for yo to feel the magic of Christmas in Vilnius.